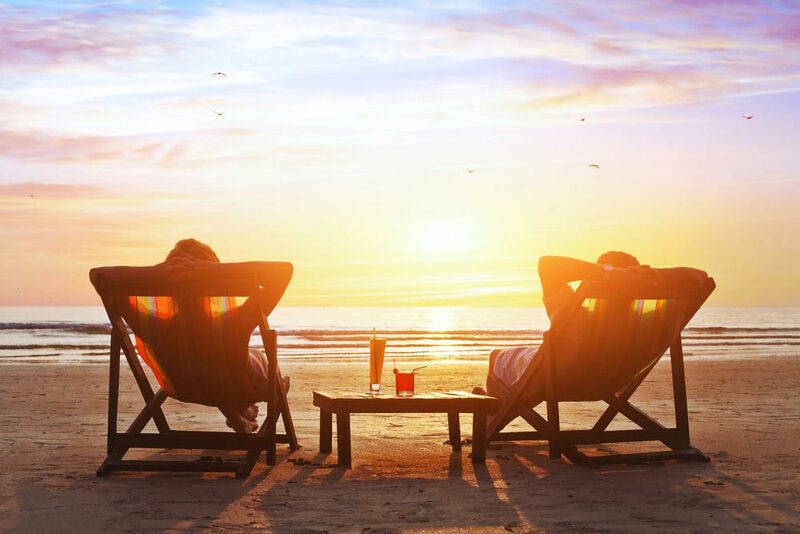 Affordable beachside retirement can be hard to find. Fortunately, that’s not the case at all. There are hundreds of active adult communities located a drive away from the country’s top beaches, with some right on the beach. Even better, many of those are as affordable as any other community and make a beachside retirement easily attainable. Here are seven of the nation’s cheapest 55-plus communities near a beach. Unsurprisingly, we’re starting on Florida’s Atlantic Coast in Palm Beach County. Sugar Sands is a 55-plus condominium community located right off the Intracoastal Waterway. Condos in the community start in the mid $100s and go up to the mid $300s. Amenities include a clubhouse, fitness center, saunas, outdoor pool, tennis courts, and much more. Homeowners have scenic ocean views and are always a short walk away from several beaches. Leisure World Seal Beach is a great option for those who want to downsize and enjoy a beachside retirement. The community includes 6,608 condominium and attached homes that start in the low $100s and go up to the mid $400s. There are six different clubhouses throughout the Leisure World Seal Beach as well as amenities like a health care center, 9-hole golf course, and outdoor pool. The community is a short drive from several beaches and great waterside restaurants and bars. There are many communities in the Tampa Bay Area that provide homeowners with a retirement by the beach and Southshore Falls is perhaps the most modern. Construction on the community’s 866 single-family and attached homes began in 2004 and was completed in 2016. There are three different home collections in the community that range in price from the high $100s to the high $200s. Southshore Falls is home to the 14,000 square-foot Wellspring Club, which includes a fitness center, lagoon-style pool, and tennis courts. Nearby is Apollo Beach Marina, which is a great place to enjoy a sunny, beachside retirement. Myrtle Beach is a popular retirement destination for many and one of the most affordable 55-plus communities there is Woodlake Village. With single-family homes from the mid $100s to the high $100s, it’s a great option for a budget-friendly, relaxing retirement. Amenities include a clubhouse, outdoor pool, shuffleboard courts, and tennis courts. The community’s location in Murrells Inlet means it’s a short drive to miles of beaches and coastline. It’s also a great area for active adults looking for seafood, nightlife, and golf. While New Jersey residents don’t have access to beaches year-round, Ocean County features many age-restricted communities near the beach. Lions Head North features 360 single-family and attached homes beginning below $100k and topping out in the mid $200s. The community includes a clubhouse with game room, billiards, ceramics studio, outdoor pool, and several sports courts. In the warmer months, residents are just minutes away from beaches on the Intracoastal Waterway as well as a short drive away from the Jersey Shore. If you’re looking for modern homes in an affordable community, Peppertree Crossing is an ideal choice. Its 1,127 attached and single-family homes start in the mid $100s and go into the high $200s. Residents can choose between eleven different floor plans that offer hardwood floors, vaulted ceiling, and walk-in closets. Amenities in the community include a clubhouse, exercise room, indoor spa, outdoor pool, putting green, and tennis courts. Peppertree Crossing is the only active adult community in the area and is conveniently located just minutes from the Atlantic Coast and miles of beaches. Pelican Landing is home to a diverse selection of homes. Although some homes here run into the millions, many of them start in the mid $100s and go up to the high $200s. This 3,068-home community is located right on the water and is only a few minutes from the Gulf of Mexico beaches. Pelican Landing is home to a tennis center, golf club, and amenities like a fitness center, resort-style pool, and sailing facilities. Homeowners also have access to beach park, which includes a beach house, pavilions, and the 34-acre Gulf Island Beach House.